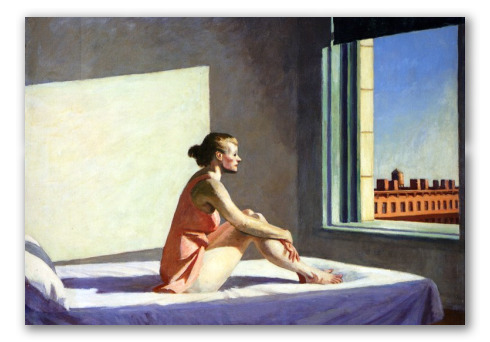 "Morning Sun" by Hopper, Art reproduction. Morning Sun is an oil painting by Edward Hopper. The image depicts a woman sitting alone on her bed, illuminated by the sunlight while looking thoughtfully out the window.